I think writing journal entries is a great way to put your anxieties out on paper (or blog post) so that you can see them. It’s not just in your head anymore. That way you can set a goal and over come them….some take a long time to do so. So today, the post is 3 things I would do if I weren’t so afraid. I would love to just go out and experience the world. Like go hiking. If money wasn’t an issue I’d fly to different countries…but then there’s my anxiety. I don’t like going places I don’t know by myself. I don’t go hiking because of wild animals and snakes. I’m a talkative person but not a social person. That doesn’t make too much sense right? Well, I’m not all too comfy meeting new people. And when I’m around people I am semi comfy with.. I feel like I talk too much. Then I spend way too much time worrying about what I said. If i did something wrong, said something wrong. If it wasn’t for anxiety… and I wasn’t so afraid… I would be more social. I use to lover roller coasters. Now they terrify me. The adrenaline rush that people enjoy….fills me with dread. If I wasn’t so afraid… I would enjoy roller coasters again. 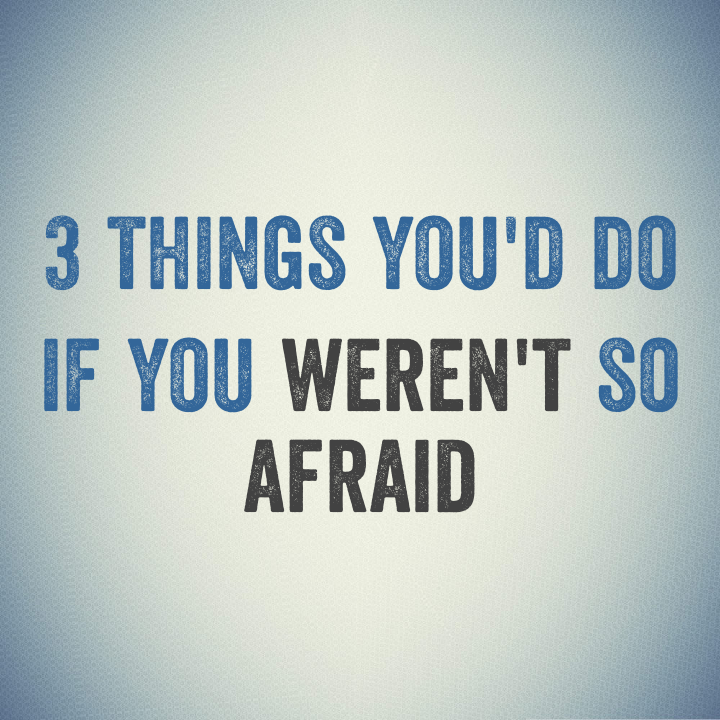 What are 3 things that you would do if you weren’t so afraid?